Twinity: New York, New York..
New York.. A name with lots of connotations. Madison square garden, 5th Avenue, Manhattan! Central Park! Remember the Simon & Garfunkel concert there? No? How old are you anyway? But you surely remember the movies? King Kong, the monster in Cloverfield and Godzilla all seemed to hate New York with a vengeance. On the other hand, artists like U2, Frank Sinatra and countless others sung love songs to her. Some more lucid than others: "A knife, a fork, a bottle and a cork - That's the way we spell New York, Jim - yeah". And as of tomorrow, this special place can be visited in Twinity. I had the opportunity for a last minute sneak peek, and I must say I am a bit overwhelmed. 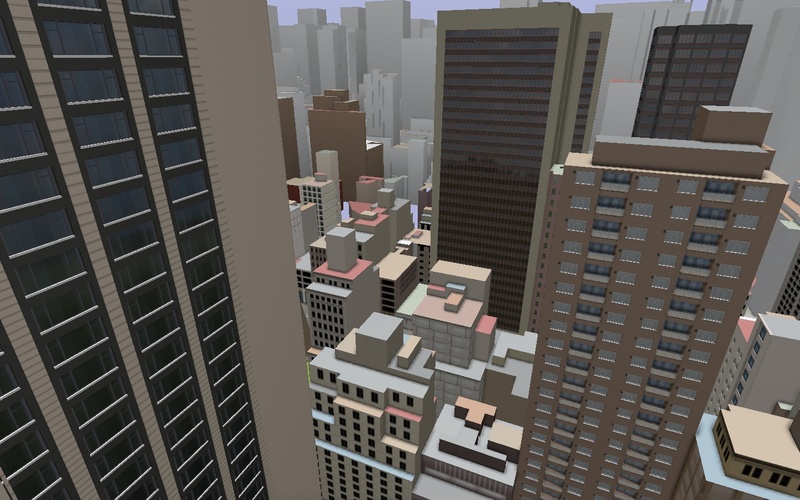 Even though Metaversum has only recreated a part of Manhattan, there's so much there! Famous buildings, landmarks, familiar contours.. So much to explore. I have always wanted to visit New York; so far I haven't been able to, but this is a very nice alternative! Of course I made a few snapshots, which you can see here at our own Koinup. Enjoy! And please.. do pay Twinity New York a visit, it's really worth it.